Check out our new video on the About Us page! To stay up to date with news, offers and exclusive information follow us on Twitter, or become a fan on Facebook. 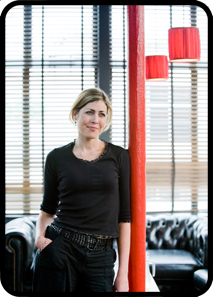 Bonjour Breakfast is the creation of Rachel Lampen who, having spent half her life working in the hospitality industry, identified a gap in the market for delivering quality produce to your home. I have spent months seeking advice from professionals within the restaurant industry, and sourcing some of the best suppliers around (the tastings were very enjoyable!) Earlier this year, I also conducted market research to ensure that we are offering a good selection of local produce wherever possible, and supplying it at a reasonable price. The presentation of the breakfast box (which, by the way, is biodegradable) is equally important to the quality of goods inside, which is why each box is tied with ribbon - so it can be presented as a gift. 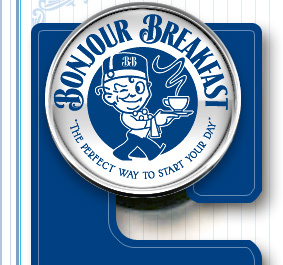 Bonjour Breakfast boxes can be ordered as a one-off, or on a regular basis. For those special celebrations, simply add on additional luxury items such as hand-made chocolates, flowers, Champagne, a birthday cake or a beauty treatment. As well as the quality of our produce, we want our service to be second to none. If you have a special request, let us know! Our ethos is that if we can do it - we will do it. We want you to be utterly delighted with everything we do.